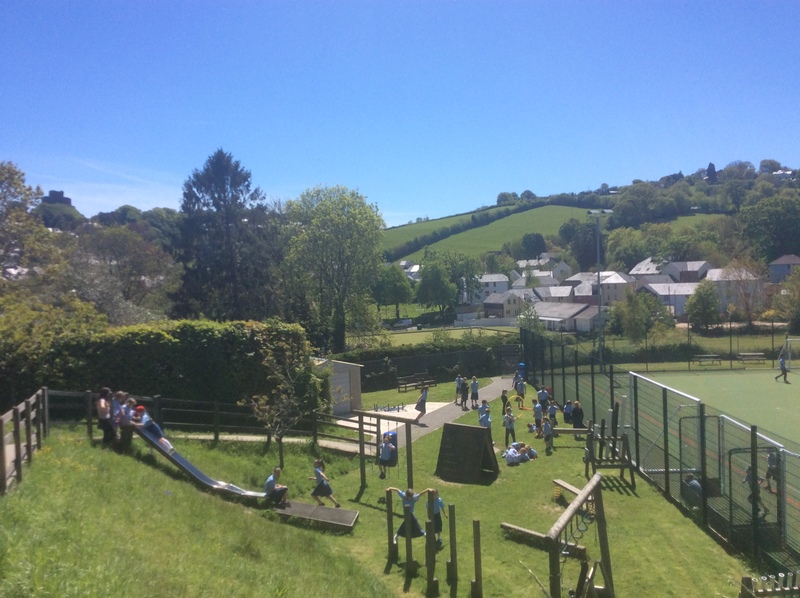 It is lovely to be able to walk around the school and see the children enjoying their lunchtime in the sunshine. 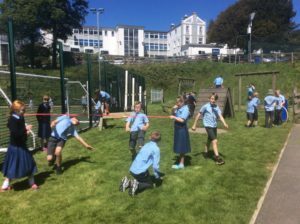 Whether playing on the grass or the AstroTurf, it is clear that or Junior children are making the most of their time in the sun – as well they might after the winter’s rain. Such days are timely reminders that the sun always comes up again, that there is always a bright side, that good times are just around the corner – and sometimes lots of good things arrive at once. For me, this weekend has provided many such opportunities. 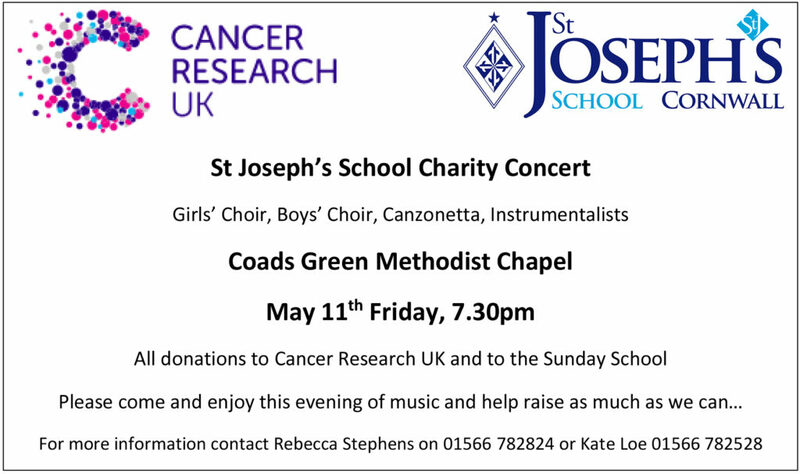 On Friday night, I was delighted to be able to spend the evening in the company of St Joseph’s parents, pupils and supporters as we enjoyed a simply stunning concert at Coads Green Methodist Chapel. We were treated to wonderful performances from Canzonetta, the Chamber Choir and our Boys’ Choir, as well as joyous individual performances from Hattie Lowe, Izzy Thorns, Lucas Drayton and Lucy Rowe. 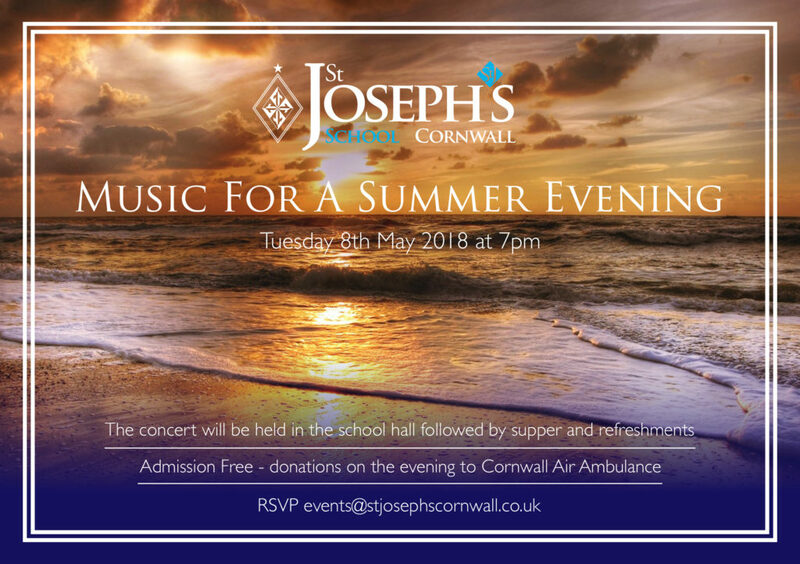 The final performance – a traditional final piece at a St Joseph’s concert – saw members of the Launceston Male Voice Choir join the girls and boys of St Joseph’s for a wonderful performance of Rhythm of Life. An ideal start to any weekend. Saturday saw us in school, where Juniors and Seniors were trying out for Scholarships. These were taken with great maturity by all involved, and wonderfully catered for by Miss Walker, without whom the day simply would not run with anything like the efficiency she brings to all she does. Meanwhile in the Hall and Senior Music Room, rehearsals continued for Beauty and the Beast. My thanks to Mrs Hodgson, Mrs Gardner and Mrs Ivell for their work for what I am sure will be a brilliant Senior School summer production. Mrs Hodgson has been tireless in her support of the children, and her contribution is very much appreciated. During most of Saturday I also had one eye on the updates from the Ten Tors official site as I tracked the progress of St Joseph’s 35 mile challenge team of Chloe Smith, Joe Allen, Olivia Collings, Arlen Morrell-Davies, Darcey Courtney-Bridgey and Max Darwall. An early morning dash to Okehampton – with bacon sandwiches all around for the Scott Family as we headed down the A30 – meant we were at the finish line to cheer the tired but elated team home. Despite their exhaustion, Chloe and Olivia, and a very proud Mrs Smith, had time to stop for an interview with the ITV news crew on hand, and it was apparent to all ITV viewers just how much the girls – and the whole team – had gained from this unique experience. As Headteacher I am so proud of all the children have achieved, and the efforts of our outstanding staff to provide these opportunities for our pupils. We teach teamwork, resilience and independence as key values for at St Joseph’s School, and to see these exemplified by Mr Matthews and his team is fantastic. They deserve every credit for what they have achieved: their success is quite remarkable. While it may make Monday seem like I have not been away from school, it is certainly worth it to enjoy the many and varied achievements of the children here at St Joseph’s. With the sun still shining, Juniors and Seniors have basked in its warming rays, and the most difficult thing so far has been persuading them back inside for this afternoon’s lessons. 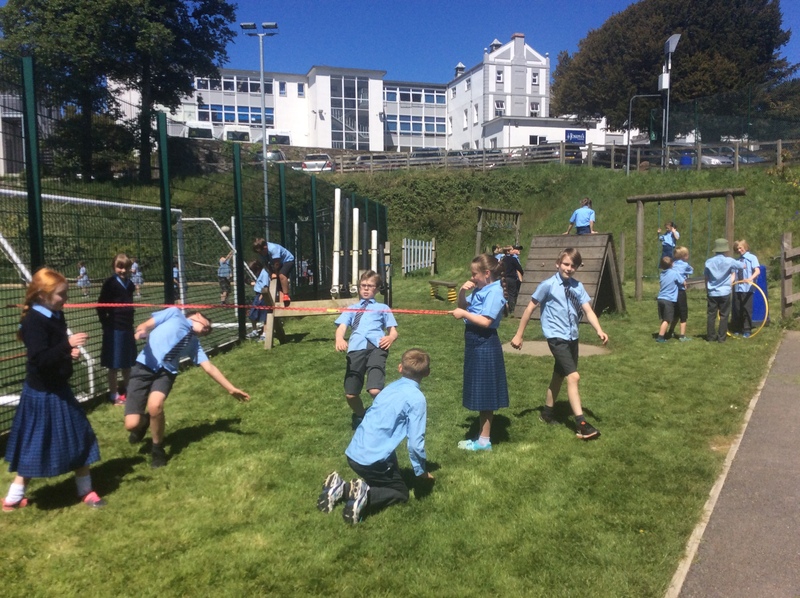 Long may it reign: Cornish summer sunshine bringing its glow to our happy, friendly and successful school. Here’s to a wonderful Summer for every member of the St Joseph’s community. 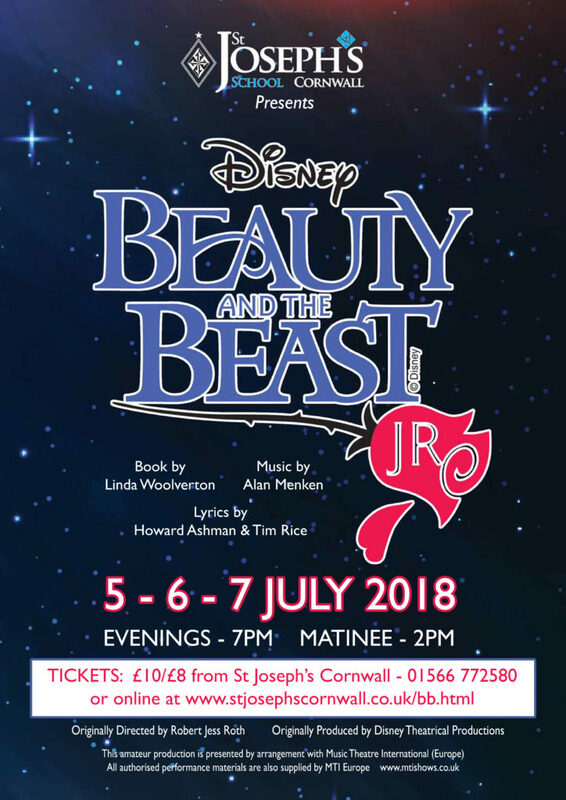 We are very excited to announce that this year our school production is Beauty and the Beast. Performances will be on Thursday 5th July, Friday 6th July and Saturday 7th July. 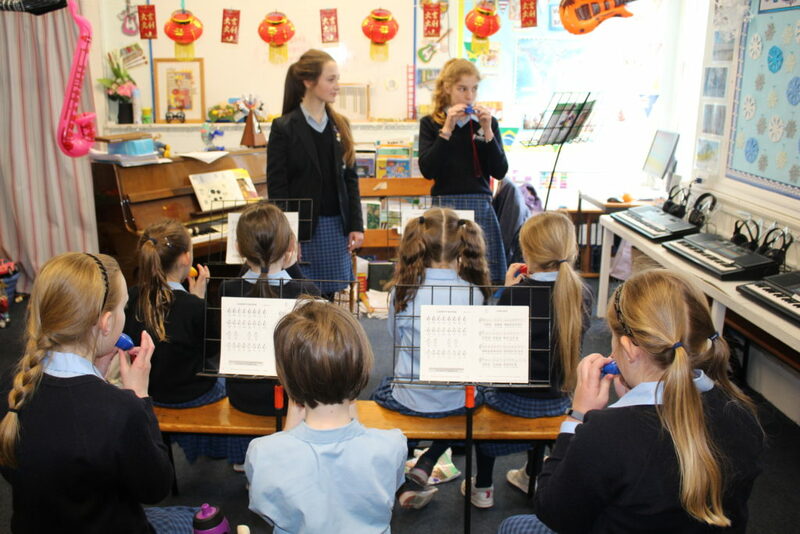 Year 9 pupils Isabelle Thorns and Darcy Courtney-Bridgey, as part of their Duke of Edinburgh’s Bronze award, are running a junior school ocarina club. As you can see from the pictures below the club is well attended and the two students are enjoying passing on their expertise. This is another great of example of collaboration between both the Junior and Senior schools.